Even if the new iPhone X has record-breaking sales, Samsung still pocket $110 for every unit sold! Dig a little deeper though, and you will realise that the iPhone X is essentially repackaged Samsung parts! 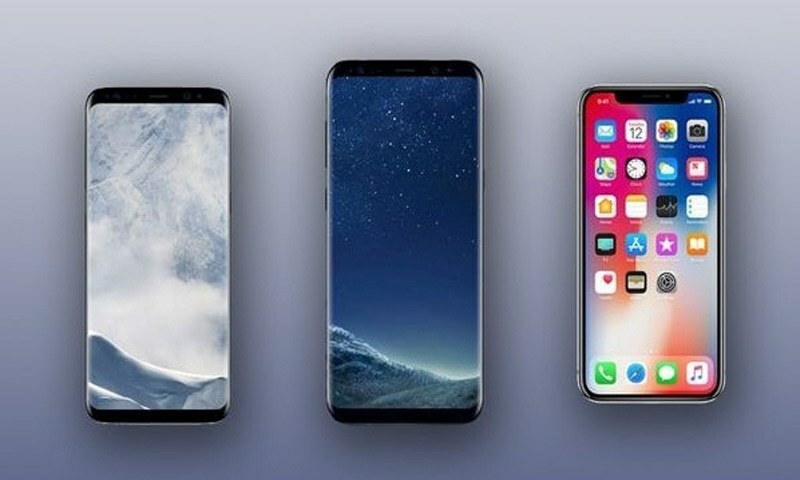 The most likely scenario is that the three iPhones will sell extremely well, whereas the three Galaxies will also sell well but less than half the number of the iPhones. In a somewhat less likely scenario, the iPhones will suffer a dip in sales; that gap is most likely to be filled by Samsung’s cheaper and flashier Galaxy S8, S8+ and Note8. Recently, a little boutique phone manufacturer called Apple made a few announcements. In case you missed them, here’s a summary – they announced three new iPhones: iPhone 8, iPhone 8 Plus and iPhone X. The iPhone 8 and 8 Plus are visually identical to last year’s iPhone 7 and 7 Plus. Essentially, the only things different are better stereo speakers this time, a slight bump in battery capacity and an upgraded processor. It wouldn’t be entirely unfair to simply term them as iPhone 7s and 7s Plus. The iPhone X, though, is a different beast altogether. 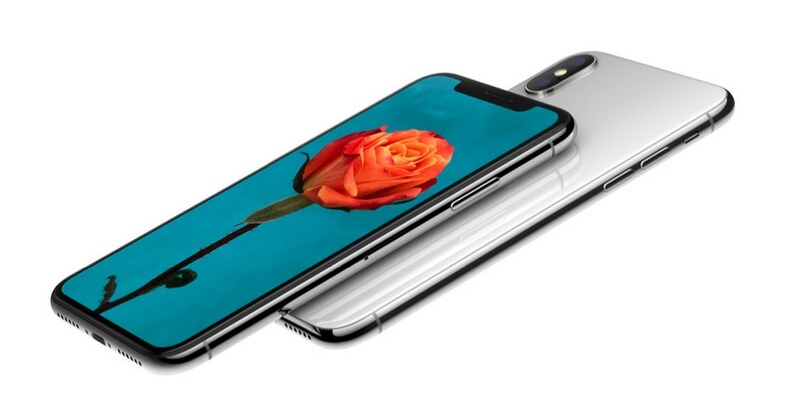 It sports a brand new design, reducing the bezels (no, the term ‘bezel-less’ cannot accurately be applied to any phone), changing the aspect ratio of its 5.8-inch Super AMOLED screen to 18:9, and re-branding a new handicap as a ‘feature’ in typical Apple fashion: the notch at the top which houses the camera and the sensors cuts away into the screen. They also touted a new ‘Face ID’ feature (device unlocking through facial recognition) and they like it so much that they conveniently did away with the fingerprint sensor. Now if you take away the notch and removal of the fingerprint scanner and read the above paragraph again, I may well have been describing the Samsung Galaxy S8! Yes, the screen size, technology and the approach to design debuted on S8 and LG G6 six months ago. Dig a little deeper though, and you will realise that the iPhone X is essentially repackaged Samsung parts! Check this: the screen, the processor, the memory chips inside the iPhone X are all made by Samsung. Don’t (want to) believe me, Apple fans? The Wall Street Journal recently reported that Samsung, as a corporate entity (not its mobile division), are set to earn $110 on every iPhone X that is sold, by virtue of its screen, DRAM, NAND memory and processor. Please don’t forget that Samsung are supplying all those parts, except the screen, for the ‘regular’ iPhone 8 and 8 Plus.) Apple’s 2017 line-up has been met with scepticism. iOS remains as fast and fluid as ever, but increasingly behind the times in terms of features. iPhone 8 and 8 Plus are likely to sell well simply because they are within the usual price range for new iPhones. iPhone X, though, crosses the $1,000 barrier and is squarely positioned as a ‘luxury’ device. 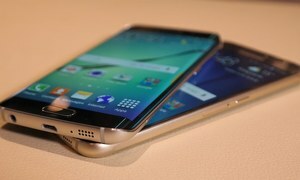 Given that the device hasn’t been released yet and is likely to face supply issues (real or created by Apple) and also the fact that the specs and features are as good – or worse – as Samsung’s $400 cheaper Galaxy S8, which has been in the market for months now and is proving to be immensely popular, we may see a slight dip in Apple’s usual stellar sales. That may be a problem for Apple, but Samsung is laughing all the way to the bank. In case the iPhone X has record-breaking sales, Samsung still pockets $110 of profit. The more, the merrier! In case it doesn’t, Samsung has not one, but three devices in three price and size classes for those who deem the iPhone X as too expensive: the Galaxy S8, S8+, and the newly-launched Note 8. Together, these devices mirror the size and positioning of the three iPhones, but are way cheaper and deliver more. Samsung devices can also pair with Gear VR (virtual reality) headsets to deliver 3D movies, games and VR experiences; Apple have no such ecosystem. In addition, Samsung sets also have face recognition, fingerprint sensors and iris scanners: choose your poison! I could go on and on, but the fact is that Apple users seldom look at, care about, or are even aware of, the other options available. They are the world’s most loyal customer base and any company, including Samsung, will like nothing more than to have even a fraction of that brand loyalty. But most importantly: exactly in line with this piece I wrote six months ago, Samsung are set to emerge on top no matter which way the cookie crumbles! 110 dollars is not the profit for Samsung. They have to cut the costs from it to get to the profit like manufacturing, manpower and other costs. Apple might be saving by outsourcing the stuff mentioned in the article. In my opinion, both iPhone and Samsung branded smartphone are expensive and do not present value for money. There are other Chinese made phones like Oppo, Xiaomi and Huawei are equally good, reliable and much cheaper than iPhone and Samsung brands. And I wouldn't spend my hard earned money on branded phones - this is my honest view. Everything aside, just have one look at S8 and iPhone X. Doesn't X looks aesthetically dumb against perfectly smooth S8? @Kashif Correct. 110 $ is the earning. And also, I don't know if Apple retails in Pakistan or not but the article seems to apply that Apple x innards are almost same as Samsung Galaxy S8, and this claim is quite laughable!!! From where author gets this jewel of the information?!! Leave other stuff, just the main processor is far more powerful that S8. 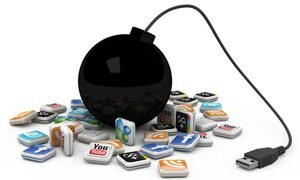 So what most of these fan based articles do is compare a bleeding edge device to an year old device of the other camp. Problem with this release of iPhone is Apple has done a lot of innovation to fulfill it's larger vision of knowing the customer better, but it wants customer to pay for it. On the other hand, Google is pulling that data for free. Pixel 2 is very capable contender, and is shipping with what matters for a customer today. 27 watt charger is one of those things. I'm an IPhone user since 2011, before that I used BlackBerry. Currently I'm using IPhone 6S, unfortunately I faced lots of battery related issue in this device, and before it in IPhone 5, & 5S as well 4. This year I was very disappointed by the technology Apple is offering in 3 newly launched IPhones, its very old now Wireless charging and Face recognition both are in Android phones since last few years. So now on you Tube I watched many vidios comparing new IPhones 8 & 8+ Samsung's Galaxy Note 8, features & Technology Note 8 is offering is amazing and both Iphones are failure in front of it except for some Camera and Stereo Speakers in which Iphones are better. Note 8's S.Pen only can do 20 different functions which I phone users dream for those features like instant translation , launching dual apps on same screen on same time. In my View Currently Note 8 is the best Available phone now & I doubt that even IPhone X cannot beat its features once its actually starts sales. @dr tariq m.baig Fully agreed - but the power of Android is that you can get a good set in almost every price range. Samsung S8, Note8, LG G6, HTC U11, One Plus 5, Pixel, Honor 8 and lite, all are excellent devices. Plus you will get features in them that you won't get in an iPhone for years. @dr tariq m.baig Sir, I bow in front of you!!! You suffered all sorts of problems since 2011 (6 years) but you're still stuck with it but you have more faith in YouTube videos!!! My common sensical advice to all our friends : Brand image alone can have power to pull, say 10% more sales and 10% more money out of your pocket but not as much as Apple does. That too in the countries which are technologically more aware and advanced. Some people talk about availability of facial recognition for unlocking in both X and S8 but do you know how far more advanced, secure and error free this system is in an IPhone? Some people are arguing that Android has phones in all segments. Agreed, but does Apple care? I cannot afford an IPhone and I am sorry for myself but Apple is not sorry for me. Neither is Ferrari!!! Although IOS operating system is good but unfortunately Apple will not let any other company to build its device with this system. So options will be less for IOS users. Android users have many good options as you mentioned. Using too many cliche words doesn't make for good english,on the contrary it exposes the incompetence. HTC rules. The first smart phone and the best smart phone. I have had iPhone, Samsung, Sony, Lenovo, Motorolla and Nokia over the years but I found HTC the best in every aspect. So even if Samsung gets $110 out of each cell phone sold from apple it does not make it same as selling any of the Samsung Galaxy 8 Series phone. In fact it is almost 8.63 times less! So Samsung will still prefer selling their own phone rather than iPhone X or any other iPhone. Samsung may have cheaper phones but users will notice that they have tonn of bloatware on their phones, it is buggy, and keeps slowing down over a period of time and its ecosystem isn't as robust as apple. So yes it does sells more devices globally but is not considered in the same league as Apple. FYI - Used Apple, Blackberry, Nokia and Samsung and the worst one was Blackberry 10. @Ahmer Then you will also love Pixel 2 - It is built by HTC! Apple processors are not Samsung, the A series processor are built by Apple. @Ali I have been using smartphones since more than 10 years and personally used all the brands I mention. I don't need to copy any text from TechRadar since I think on my own and Aurora publishes thoughts and opinions, not recycled data from other websites. If you think this is a tech comparison you have missed the point and it is your comment that sounds like a rant, not my article. I stand behind each and every word I wrote and would love it if you point out any inaccuracies. Thanks for enjoying the piece. @Vivek narain Thanks for your valuable feedback. I would love to know what you saw as cliche and whether there are any substitutes. wow I didn't know that IPHONE is made by Samsung. @Vivek narain lol, you probably meant "bad English"
@talha Sir if you genuinely seek advice,i would suggest you read some books by Leslie Charteris.The choice phrases and words that he uses are absolute gems,and an educative tool for anyone.The finest produce of China that mesmerised the world. @Vivek narain I would have loved to, but in case you didn't notice, this is not a site for literary discourse. Also, I am waiting for you to cite some specific example of my linguistic incompetence. 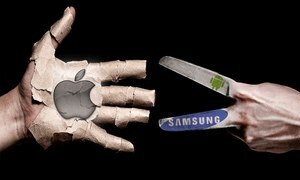 @Kashif article didnt say samsung manufactures the Iphone, it merely supplies the parts.